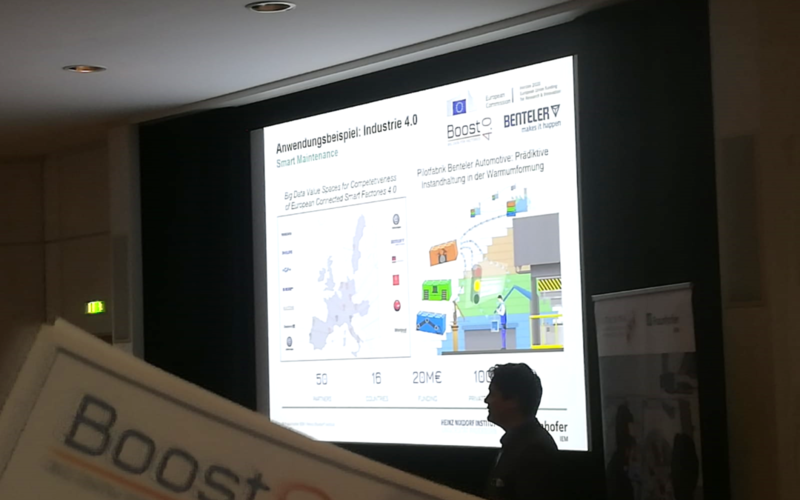 At a local event, the German Leading-Edge cluster it’s OWL presented Boost 4.0 to its cluster community. The event was all about intelligent systems: How do intelligent systems lean, act and decide autonomously? Which chances and which challenges does that imply for companies? The “Expert Group Industrie 4.0” and the “Expert Group Systems Engineering” joined forces to take a closer look at the topic artificial intelligence along the entire value chain: from development through production to the finished product. Fraunhofer IEM Senior Expert Sebastian von Enzberg gave interesting insights into the potential of artificial intelligence for product development and production. As an example, he presented the use of Big Data for predictive maintenance at the BENTELER plant An der Talle.